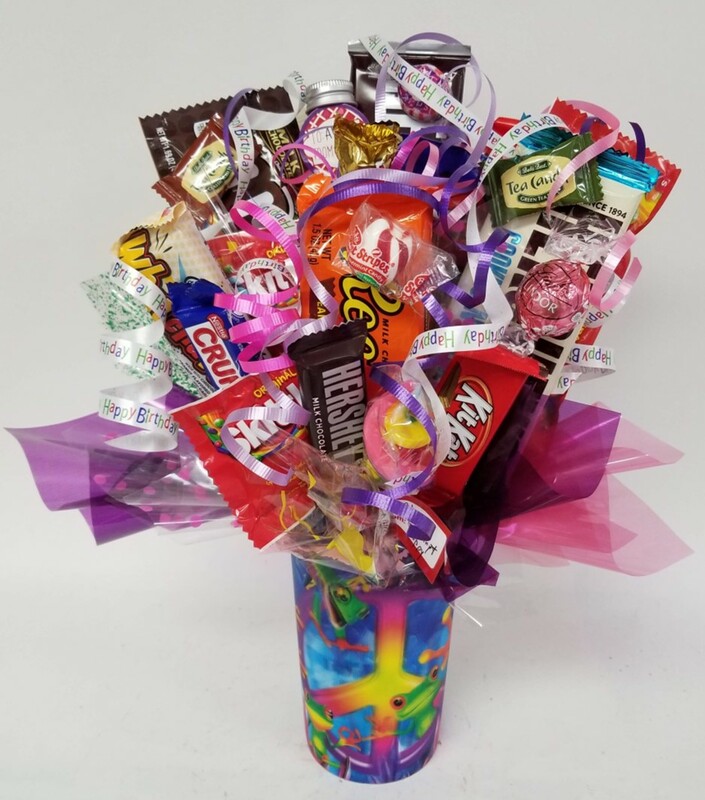 An amazing 3-D holographic tumbler is the star of this candy bouquet. Imagine your gift being passed around for everyone to see the brilliantly colored images! Dishwasher-safe 3-D tumbler is filled with premium choice of candy bars, fruit chews, and other candy treats. Three sizes to fit every budget. Choose the small version for a tight budget, or upgrade the sweet contents to Medium or Large to make a very big birthday bouquet!